Few weeks back, I won three awards. This time I don't want to be a hoarder. I would like to pass the three awards to a host of lovely bloggers. 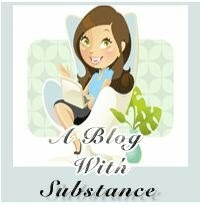 Each blog is unique, with a wonderful writer sharing her/his amazing journey. I want all you lovely ladies and gentlemen who read this post to share a funny anecdote with us. But, it has to be connected to writing. Anything funny that happened in your writing career? I was very keen on doing NaNoWriMo this year, it would have been my first. My initial excitement at the beginning of October slowly turned into apprehension when my thoughts focused on my muse. I am currently working on an MG fiction and a collection of linked stories which I hope to convert into a book. For a change my usually recalcitrant muse is being generous with both his time and energy. I have been the focus of his undivided attention for days. I am tickled pink. There is no way I want to antagonize him now by leaving him alone even for a brief moment and NaNoWriMo would require a separation of sorts: meaning I would require his services, but for another WIP. The moody guy he is, I dare not risk it. My muse and I have a strange relationship. He has a roving eye. Several times I have seen him checking out other writers, eyeing them with greed and lust, paying more attention to them than me. At those times I cling to him; so that I am the sole focus of his wandering eyes. 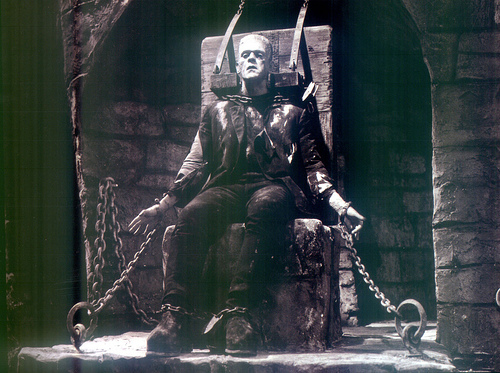 I have even thought of tying him up and confining him to a chair. My muse and I (I am sure it’s a he in my case) are a strange pair. When I badly need him, he is never around. And sometimes when I am extremely busy with other things he keeps intruding and demanding attention. If I am a bit tardy in giving in to those demands, he sulks and pouts for days. Several times he has packed his bags and left for an undisclosed destination for long stretches of time. My frantic calls and messages are completely ignored. Troubling and torturing me has become his second nature. I often catch him spying on me, intruding on my time with family and friends. He knows he can get away with murder as I am defenceless and helpless where he is concerned. At the altar of our rocky relationship, I sacrificed my NaNoWriMo dreams. I am sure if I turn my back, he will do the disappearing act once again and there will be no knowing where he has gone where those two WIP’s are concerned. I can’t risk that, not while I am working on two books simultaneously. What about you all? Is your muse a he or a she, kind or cruel, generous or greedy? What is your relationship with him or her? How do you handle him or her? P.S. I would like to wish all my blogging buddies who are participating in NaNoWriMo, best of luck. I will be rooting for you all from the sidelines. Here is hoping that all of you reach that magic figure of 50,000 words in 30 days. 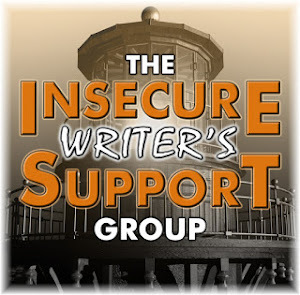 As writers we are prone to despair and feelings of insecurity. A bad review, a rejection from an agent, harsh editorial feedback, even unfavourable comments from critique partners can plunge us into a prolonged state of despair. There are moments when we wonder why do we write, when all we encounter in the initial stages of our careers are roadblocks and dead ends. Are we sadists who put ourselves up for rejection and scrutiny day after day via our writing. The entire world gets a close peek into our thought process, into our sensibilities, into our feelings through the characters we create. Though we may be extremely private individuals, we do live extremely public lives because of our work. In this scenario we have to be our biggest supporters, have to constantly motivate ourselves and have immense faith in our abilities and stories, else we will be close to literary annihilation. Though we are allowed a bit or maybe even a lot of self pity, we have no other choice but to lick our wounds and get on with the job in hand: our WIP. I read this beautiful saying “ If I have lost the self confidence in myself, I have the Universe against me” – Ralph W Emerson. It applies to us writers perfectly. If we lose confidence in ourselves, in our stories, in our characters, in our settings, then not only are we doing a grave injustice to ourselves, but we are also cheating ourselves. This is a God given talent, each one of us has unique stories that we must and should share with the world. Rejections and criticisms should not deter us, infact they should strengthen our resolve to tell the best story that we can. To turn those detractors into our biggest supporters should be our aim, and we should resolve to do so. Practically every writer I know has faced rejection and braved harsh criticism to churn out words which have enthralled readers worldwide. What kept them going was their faith in their stories and a belief that they could and would do it. 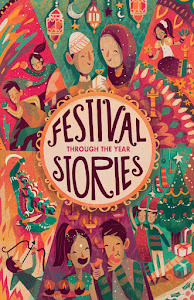 Each and every story that is currently residing in our hearts is awaiting its tryst with inspiration. Someone somewhere, maybe in a remote corner of the world is waiting to be inspired by our words, someone is waiting to be entertained by it, someone is waiting to bond with the characters. Do we have a right to deprive those people of inspiration, entertainment or bonding? Even if our words motivate and inspire only a handful of people, or entertain the same number, isn’t that much more than what we hoped for when we typed that first word. 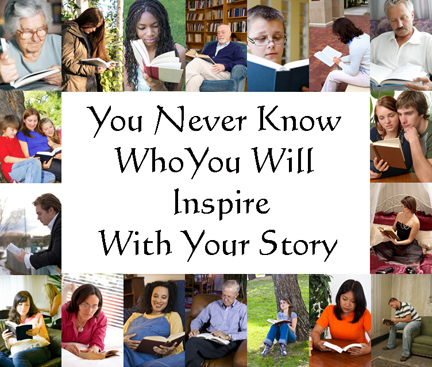 So, don’t let anyone stop you from writing as you never know who you will Inspire with your story. Doesn't the thought that someone is waiting for our story/book make us pull out our WIP with renewed passion, make us want to give it all that we can. Don’t we have a commitment to that person waiting eagerly for our collection of words? Have you ever felt despaired, wondered why you were writing when all you encounter is closed doors. How do you cope with those days? What keeps your faith intact? Please share. I am sure we all will be inspired by it. P.S. Few of my writing friends in India were depressed by the rejections piling up. I hope this post will motivate them and everyone else to keep writing. 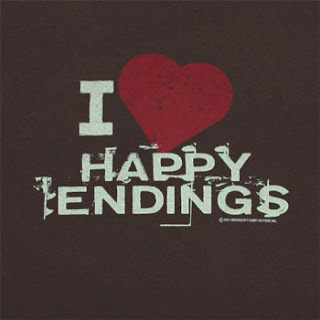 Why do we Like Happy Endings? For most of us the perfect resolution in a book/story is the HEA (Happily Ever After). Especially if it’s a love story, then we readers expect the lovers to unite despite all opposition, and walk away into the sunset their fingers entwined, bodies leaning into each other. Any other ending in a love story has us gasping in shock. A sad ending makes us feel cheated, even though that particular ending may have been justified. When I read Anna Karenina the ending disappointed me. Though I loved the book I felt depressed by the ending. I had followed Anna throughout the book and I felt cheated, though it was and is always a writer’s prerogative how they choose to end their books/stories. As readers we have no say in that matter. If in the last Harry Potter book, Harry would have died instead of Voldemort I am sure most of us readers would have created a riot. For those of us who had followed Harry for 10 years, hated Voldemort as much as Harry and other wizards, Voldemort’s death was the perfect redemption. Any other ending would have been sacrilege. I think the reason everyone reads is because we want to transport ourselves into another world: a world of make believe, a fantasy world, where we can forget our personal problems and troubles, fears and worries. A Happily Ever After completes and fulfils that journey. We feel satisfied that things worked out for the MC, this feeling is subtly transferred into our own lives; we feel things will eventually work out for all of us too. But sad and unhappy endings bring us face to face with the bitter truth of life: the stark and grim reality facing us. A fear creeps in. What if there is no solution to our problems? What if our situation does not improve? What if we don’t make it? Then what? I feel unhappy endings not only make us sad, but they bring us face to face with our own personal fears and demons. This leaves us flustered, troubled and disoriented. And this feeling is transferred onto the story. A happy ending is a part of Wish Fulfillment. It brings on the Feel Good Factor. A sign that all is well with the world and that we are on the right track and that soon things will work out for us too. What about you all? Do you have a penchant for the HEA, or you like a good book/story regardless of the ending? What kind of endings do you strive for in the books you write and the what kind of ending you prefer in the books you read? 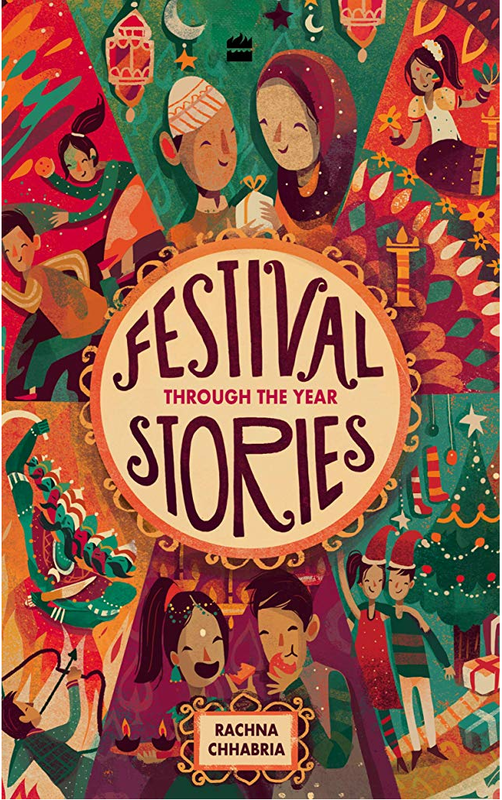 The characters in our books and here I am not just talking of the protagonist and the antagonist, but about every other character inhabiting our literary city (manuscript). Though the protagonist and the antagonist are more important than the rest of the ensemble cast, the supporting characters do play important roles in our books. If a little TLC (Tender Loving Care, or shall I call it Tender Literary Care) is showered on the other characters the story gets enriched and is all the better for it. Many times I have noticed in some books that the other characters are ignored, they are just props that silently appear on the stage and then do the disappearing act after their purpose is fulfilled. There is not much of a role for them to play in the story. I agree that the story is predominantly about the Main Character, but is the MC living on an island, all alone. No. More often than not the MC lives in a world swamped with people. Some more closer to him/her than others. And these people have lives of their own. So isn’t it a writer’s duty to flesh out these supporting characters well. To breathe life into them. We can definitely give them more prominent roles to play. There can be a couple of sub plots racing alongside, or better still intersecting the main plot with these supporting characters in the thick of things. 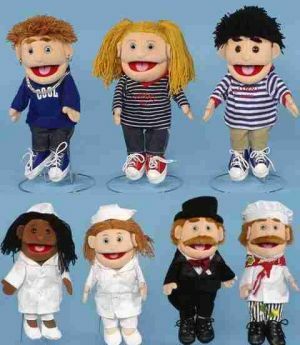 These characters can have their own goals and problems to solve, their dreams and aspirations to be achieved. If these characters too grow like the Main Character by the end of the story, the story becomes full bodied with warm blood gushing in its veins. The supporting characters’ back story can be revealed during their frequent interactions with the main character. Readers are not just interested in following the MC, they also love to read about each and every character in the book. Sketchy characters with no clue where they are going have a jarring effect. Then it becomes obvious that the writer has not paid attention, or is just not concerned about anyone except the MC. Supporting characters who are strong entities, who can stand on their own, push the story even if the protagonist is not around in few scenes. If these characters are on the Antagonist’s side, they can intensify the Conflict. If they are on the Protagonist’s side they can assist in the Resolution. I have seen that the books I have read and reread have strong supporting characters and these characters are not there just for decoration. Many times they overtake the protagonist with agendas of their own. The supporting characters should not be treated as puppets. They are capable of making decisions and taking actions without the protagonist’s consent. These strong supporting characters make for a good read. What about you all? Do you all pay equal attention to the ensemble cast? Do you all shower a little bit of TLC on the supporting characters? How do you all handle these characters? Please tell us. We would love to know and learn. 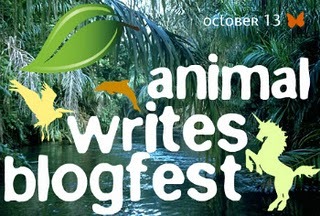 When I came across the Animal Writes Blogfest (writing from an animal's Point of View) on Dayana's blog, I was intrigued and interested. 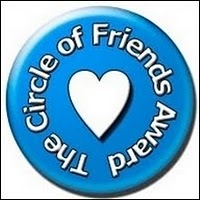 My first two children's books were based on animals and participating in this amazing blogfest would be a walk down memory lane. I eagerly signed up for the blogfest (my first one). 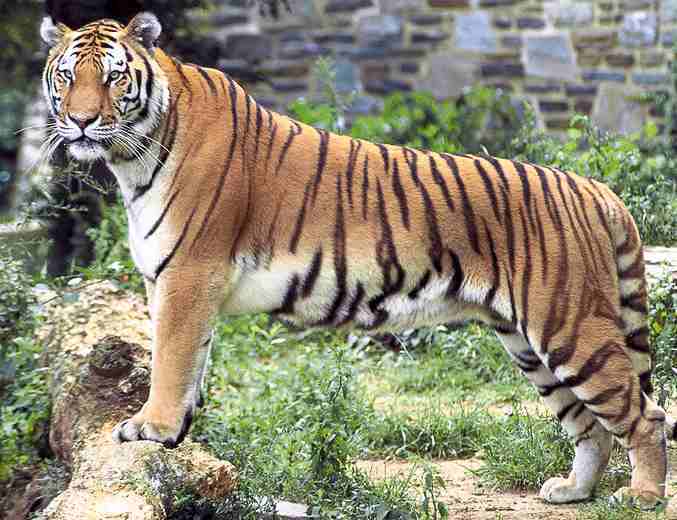 I chose the Royal Bengal Tiger for several reasons. Read on to discover those reasons. I paced to and fro in my cage, my supple body swinging with each step I took. 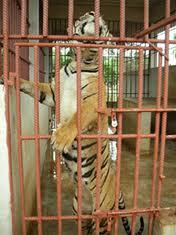 I leapt towards the bars of the cage; “Grrrr,” gripping a couple of iron bars, I roared in frustration. I craved the freedom the jungle offered. My mind rewound to the day five of us : my tigress (Lila), my three cubs and I were at the watering hole after I had killed a deer; I had stalked the deer for some time, in a split second I pounced upon it; with my sharp claws I ripped apart its belly. It was our first decent meal in months. In the last few years animal population had dwindled rapidly due to rampant poaching. Eleven tigers were left in the jungle. Lila and I were extremely protective of our cubs: one of us was constantly with them. A noise at the entrance of my cage distracted me. A clutch of school students gaped at me. My cage attracted the maximum attention: I belonged to the species sliding into the endangered category. After few years I may be a part of the extinct species. The camera flash irritated me. I disliked being photographed when I was not looking my best. My skin had lost its sheen: my stripes were no longer resplendent, there were dirt streaks all over my body, and I had lost a lot of weight. Being restricted in a cage had dulled my reflexes. The group moved away. I retreated into my reverie. Lila, my sweetheart disappeared few days after I had killed the deer. Our keen eye sight and sharp hearing came to our rescue when we hunted at night. We took turns to go hunting; she cuddled each cub before embracing me to venture in search of prey; it was like she had a premonition or something. Night turned into morning and morning merged into afternoon. By early evening we were sick with worry. My eldest cub assured me that he was capable of going in search of his mother. Couple of hours passed since he had left. Overcome with worry I went in search of Lila and my cub after giving strict instructions to my younger cubs not to stray from that place. I searched throughout the jungle, but there was no sign of them. Darkness had settled. I raced back to our place. Blood streaks strained the path: they were fresh; the blood of the fox I had killed last week had been washed away by the rain. I sniffed the blood; it was my own: my cubs’. In one stroke my entire family was wiped out. Another group of students thronged my cage. They were extremely ill-mannered. Two boys threw popcorn into my cage, their teacher chatting on a her cell phone did not stop them. A small boy threw a pebble; it hit my stomach. “Grrrr,” I roared and leapt towards the bars. Shrieking in fright the kids shrank back and moved towards the next cage, throwing dirty looks my way. Not one to give up easily, the next day I ventured in search of my missing family; but there was no sign of them. The blood streaks were sufficient proof of their death. Loneliness swamped me. Losing one’s entire family in one sweep was not easy. I went into denial. Why us? What had we done? Didn’t my cubs deserve a chance to see what a tiger’s life was all about? Life had been cruel to us. Tears rolled down my eyes. My cubs were babies. I had hardly spent time with them. A plump lady stared at me. As she removed her camera from her enormous bag, I gasped. Slowly I moved closer for a better view. She was unaware of my closeness as she removed the lens cap from her camera. Her bag was made of tiger skin: from my dear Lila’s skin. I recognized the skin I had lovingly caressed for years. 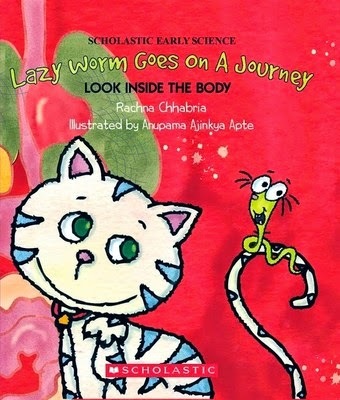 Lila’s skin was unique; she had few yellow spots on her black stripes. My throat felt tight. Sorrow paralysed my vocal chords. The cruelty and heartlessness of humans shocked me. I turned my face away. Tears rolled down my cheeks. Slinking into a corner I lay down. Memories flushed my mind. Two weeks had passed since the disappearance of my entire family. I had not ventured away from our place. But the crippling hunger pangs gnawing my stomach forced me out in search of a prey. Night merged into morning, I had not glimpsed a single creature. Darkness had fallen rapidly. The smell of dead meat tickled my nostrils. Few feet ahead I saw a deer torn open. Chunks of its flesh were missing. Perhaps another lion or a tiger had feasted on it. I tore a huge chunk of flesh: it tasted funny. Unperturbed, I continued eating. After I had reduced the deer to bare bones I sought the safety of my retreat. A full stomach is extremely sleep inducing and within minutes I dropped into the comforting arms of sleep. I have no idea how long I slept. When I woke I found myself in a cage: I had been transported to a zoo. On hindsight I realized that the funny taste was due to the drugs injected into the deer’s body. The lady with the tiger skin bag continued clicking pictures of me, unmindful of the fact that I had turned my face away. For days I plunged into a self pity mode. One day a contingent of officials arrived outside my cage. The sober officials clicked many pictures of me. Several vets examined me. Gentle hands poked and prodded my body searching for tender spots. After a thorough examination I was pronounced fit; the zoo officials were jubilant. Had there been a threat to my life, I wondered? Were they relieved that I was not going to die? The confusion cleared when the good news was announced. I was chosen to be the official mascot of the 2010 Common Wealth Games India was hosting. I was christened Shera. My dark cloud indeed had a silver lining! P.S. 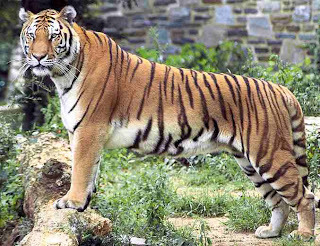 The Royal Bengal Tiger is the National Animal of India. It has become an endangered species due to poaching and shrinkage of its habitat. I know that I have been a hoarder as I have received few awards and have not passed them on. Its time to do that now. Few months back Elizabeth Mueller gave me the Honest Scrap Award and few days back Lynda Young gave me the Sweet Friends Award. I would like to pass both the awards. The rules of the awards are to thank and link back to the person who gave you the award and share few things about yourself. Thank you Elizabeth and Lynda. I like the power of a writer’s imagination: the wonderful worlds our words create. I like to explore different themes in my short stories and books. I like to create believable characters: my characters must resemble real people. I like being haunted by my characters when I am writing about them. I like to incorporate subtle messages in my stories. I like a hint of mischief in my characters. Now its time to tell you 6 (secret) things unrelated to my writing. I think its time we all get to know each other a little better. 1. I am prone to CGS (Continuous Giggle Syndrome). I have giggled continuously for an hour and half in the company of my sister and nieces. 2. I am extremely attached to my Parents and Spiritual Master. They are my strength as well as weakness. 3. In my mid teens I wanted to be a model. My best friend and I bunked college to go for an audition, but chickened out at the last minute and returned back to college. 4. I am addicted to the 3 W’s (writing, workout and worship). If I miss even one of them, then my grumpiness is to be avoided at all costs. 5. I believe that Destiny is all about choice and not chance. It’s the choices we make that determine the chances we get. I believe If I have to have regrets, then I would rather have the regret that I tried and failed, than the regret that I didn’t try at all. 6. I am a complete chatterbox. I am always ready for long chats. Strangers at airports end up confiding their life stories to me, as do most people. What about you all? Any secrets you would like to share. I promise not to tell anyone. I have already done a post on giving our books visibility, refer to post Effective Marketing Strategy to Give Books Visibility. But there are a lot of writers who are unpublished. This post will cover the points on giving a writer visibility, though I prefer to call them aspiring authors rather than struggling writers. As writers there are many ways we can ensure that atleast some people are familiar with our names before our books are published. 1. In India most writers take the newspaper route: we (including me) start our writing careers by contributing to newspapers and magazines that accept freelancers. This is one of the best ways to get visibility: contributing regular features, articles and short stories ensures that we write often, our regular bylines make many people familiar with our names and ofcourse when a cheque arrives in the mail it’s a wonderful feeling and seeing our work in print is sheer joy. All the newspapers and magazines accept email submissions. I have noticed that few regular contributors have ended up with columns. and hones our writing skills. 4. Building a Website is one of the best thing writers and authors can do. looks good in the Writer/Author bio. book deals or commissioned to write on different topics by publishers. long time, so if in the interim a few publishing credits roll out it’s a good thing. Do you think its important for writers to get noticed even before their books are published? What are all the things you are doing to get yourself visibility? What do you all think writers should do to get noticed. Please share. It will be of great help to everyone. Surrender is a part of Indian spirituality. It’s the first lesson a disciple is taught when he enters spiritual life and trains under his spiritual master. The only advice given to the disciple by his Spiritual Master is “Surrender”: go along with the flow of things. Surrender in spiritual life simply means bowing down to the inevitable, shedding all desires and expectations and just enjoying the experiences that life/fate throws in our paths. The experience may be good, bad, sweet, bitter, small or big, but each experience teaches the disciple something and adds to the disciple’s spiritual growth. The surrender done with utmost humility and childlike innocence hastens the disciple’s spiritual progress and all obstacles are overcome. Before you all shake your heads and wonder whether this post is about spiritual life, I hasten to deny it. Have you all realized that as writers we follow the philosophy of surrender while working on our manuscripts. When we start writing our stories, don’t we surrender completely to it, bow down to the inevitable. The story not only consumes us, but chucks everything it has in our paths. Our characters throw tantrums, our muse often plays truant, mental blocks hamper the progress of our stories, there is criticism galore from various sources. But, like spiritual aspirants we continue on our chosen paths with dreams of the published book in our eyes. When we try to force the story or impose our rules upon it, it turns hostile and unnatural. The only way we can do justice to our stories is by surrendering completely to it: we should write the story with our heart, pour our passion into it, be true to its theme, allow it to lead us where it wants to be taken, let the characters have the freedom to do what they want. 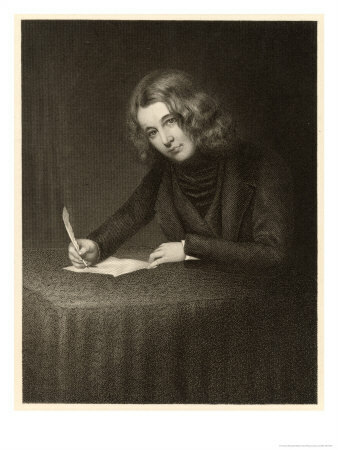 There will be sufficient time later to summon the inner editor and spruce up the story and chop the undesirable parts. Every story has a soul; it’s the essence of the story; the fragrance emanating from the story that touches the readers’ souls. This soul to soul connection is responsible for its success. This is possible only when we succumb all our senses to the story without asking ourselves any questions. Many times writers write with an eye on the commercial market (at times I do too) they forget to be true to the story, but start pandering to the current trend. The stories in their hearts are suppressed by the stories that the market wants: stories that are the current flavours. The essence of the story is diluted and the soul weakened. These stories never achieve any amount of memorability. The success they achieve is temporary. Have you at any time surrendered to the soul of the story? Given in completely to its pull without asking questions? If yes, where has it lead you? If no, where did you end up with the story? What are your views on it?